Former Vice President and PDP Presidential Candidate, Alhaji Atiku Abubakar has commiserated with the government and people of Rivers State over the collapse of the 7-Storey building in Port Harcourt. He called on the Rivers State Governor to take actions that will ensure that there will be no recurrence of the tragedy. “It is not enough to jail the owner of the building. It is time we begin to look at how we build our houses. “We have to work on agencies that regulate the construction of buildings and ensure that they do their work properly “, he said. He commended the Rivers State Governor for preliminary actions already taken by the State Government. The PDP Presidential Candidate called on the State Government to compensate the fanmilies of those who lost their lives in the tragedy. The Representative of the PDP Presidential Candidate was accompanied on the visit by the Wife of the PDP Vice Presidential Candidate, Mrs Margeret Peter Obi and the Wife of the PDP National Chairman, Mrs Ene Secondus. 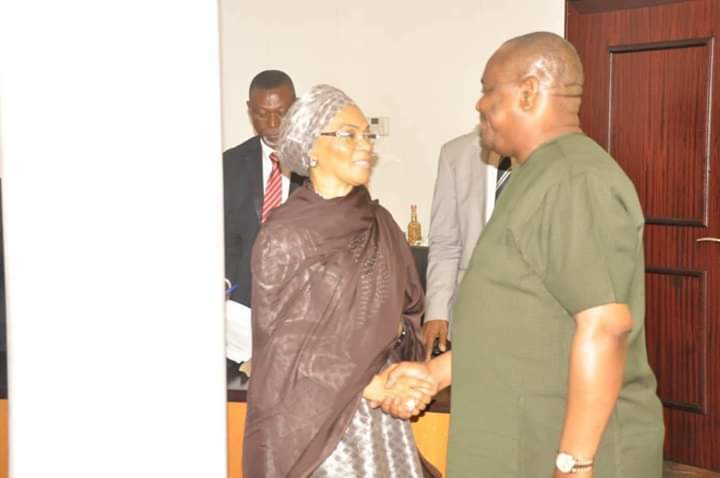 Responding, Rivers State Governor, Nyesom Ezenwo Wike commended the PDP Presidential Candidate for being the first to commiserate with the state during her period of grief. “You are the first to condole with us publicly and empathise with us over this tragedy. We are happy that you have come over to identify with”, he said. The governor regretted that the APC Federal Government has been unable to condole with the Government and people of Rivers State because of politics. Governor Wike assured that the State Government will enforce the outcome of the processes of the Commission of Inquiry to investigate the building collapse. He said that his administration will deal decisively with culprits to serve as a deterrent to others in the building sector.